If you’ve been looking for a reason to revisit Valve’s classic team-based shooter, then the wait is finally over! 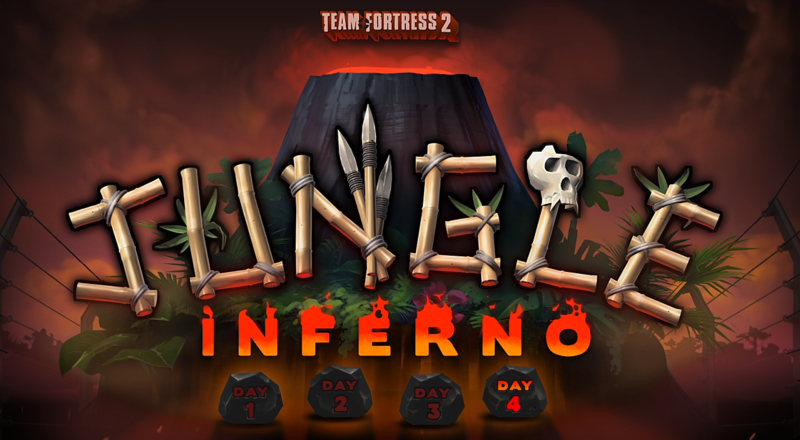 The long-awaited Pyro update, officially titled “Jungle Inferno” has gone live! Our lovable mercs have once again found themselves in the middle of sticky situation. Trapped in an amusement park led by the one and only Saxton Hale, the mercernaries find themselves going toe-to-toe with a yeti? After things have been taken care of, the park is officially renamed to Mercenary Park, and our mercs are forced to battle it out to death. Not that they mind. The Jungle Inferno update introduces five new community maps: Mossrock, Lazarus, Brazil, Enclosure, and Banana Bay. The one new official map is none other than Mercenary Park itself! There’s also new community taunts, including the epic Yeti Punch that Saxton Hale performs in the trailer. The Engineer has The Dueling Banjo and The Jumping Jack, while the Heavy has The Soviet Strongarm and The Russian Arms Race. We can’t forget about the Pyro of course, who has The Headcase. Presenting your opponent’s heads on a silver platter has never been more classy! Speaking of the Pyro – this update is all about them! From the last Meet Your Match update, the TF2 community got to vote on who would receive the next big update and Pyro was the winner! For starters, we’ve got the Dragon’s Fury, a new primary flamethrower that’s single-shot. The more you hit the same target, the faster you reload and deal bonus damage. Perhaps the wackiest new weapon is the Thermal Thruster, a jetpack secondary. The Thermal Thruster allows the Pyro to quickly rocket up into the air, and you’ll deal triple damage to anyone you land on, similar to the Soldier’s Mantreads. Another new secondary is the Gas Passer which lets the Pyro create a cloud that coats enemies in toxic material. If coated targets take damage, they’ll ignite as if they got hit by a flamethrower, and this works even on other Pyros! Finally, the Hot Hand, a new melee weapon allows the Pyro to speed up when they hit an enemy. Unfortunately since the Heavy lost the poll, he’s got the aptly named Second Banana. It’s a new secondary food item that heals half the health a Sandvich does over the same amount of time, but it recharges twice as fast. I don’t know, a banana is pretty awesome if you ask me. You can view the full patch notes over on the Team Fortress website.